Read 'Illinois Times' review by Brian Jackson. My poetry is simple, hard-edged, unrhymed or rhymed verse in the classical style. It expresses my belief that small words used precisely are the strongest conveyors of ideas. It also imparts the nearly forgotten awareness that poetry is a performance art that must reach an audience. My poetry represents a framework for viewing the workings of an examining mind. I write about what I see and what I think about what I see. It has been my happy experience that both writers and readers are engaged by, and respond to, my poetry. Hope you enjoy the sampling below. Hugh can sometimes be found at the Springfield Poets and Writers monthly poetry reading. Come join us from 6 to 8 pm at Robbie's on the Old State Capitol Plaza, every third Wednesday. People are friendly, poetry is thought provoking, and food and drink are yours for the asking (and coin of the realm). This is my first collection in a long time and Adonis Designs has done a great job! 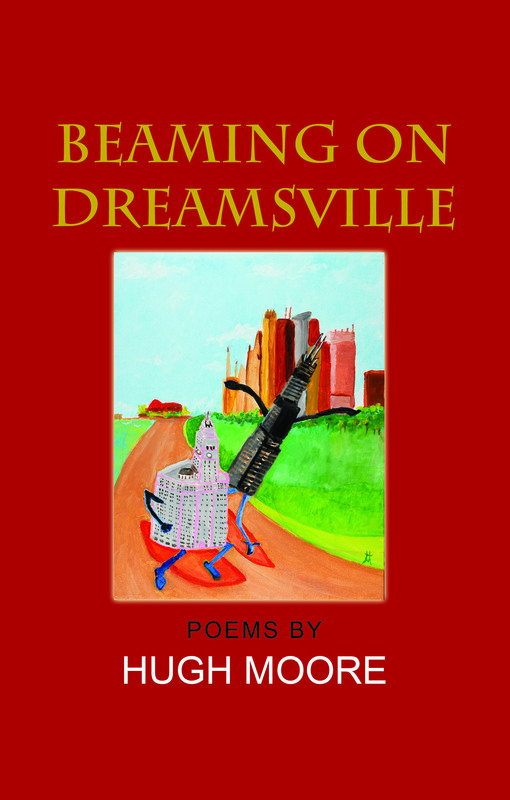 “Beaming on Dreamsville” can be found online at Amazon, Barnes & Noble, and Abebooks. Special edition with original hand-colored print is available from Adonis Designs Press, or from the author. "Beaming on Dreamsville is a magical blend of lyrical surprises. I never expected to laugh out loud at 'Death' or tear up at the 'Ways Dogs Stare.' Not only does Moore paint beautifully with words, Beaming on Dreamsville is dramatically enhanced by Moore's wonderful illustrations. I look forward to Beaming on Dreamsville again and again!" "Here is a book of graceful poems in which remorseless circumstance is pitted against human passion. Passion and circumstance are poised in a dynamic balance in which love is as strong as death. Hugh knows puma shooting with preachers, mirrored shades in sports cars and the mean-girl post-graduate university environment. In all these realities he offers us America transfigured. Brutality experienced as beauty and beauty's potential lethality acknowledged. Clear eyed about his subjects, and objective about himself, Hugh reveals diverse worlds and invites us in." "I love this collection! Hugh is very gifted with words, and I also admire the artwork which is fabulous!" It was standing room only at the third Poetry / Art event at the Hoogland gallery in downdown Springfield, June 30. Hugh's poem "Raven" was inspired by a pottery piece by Gloria Josserand. 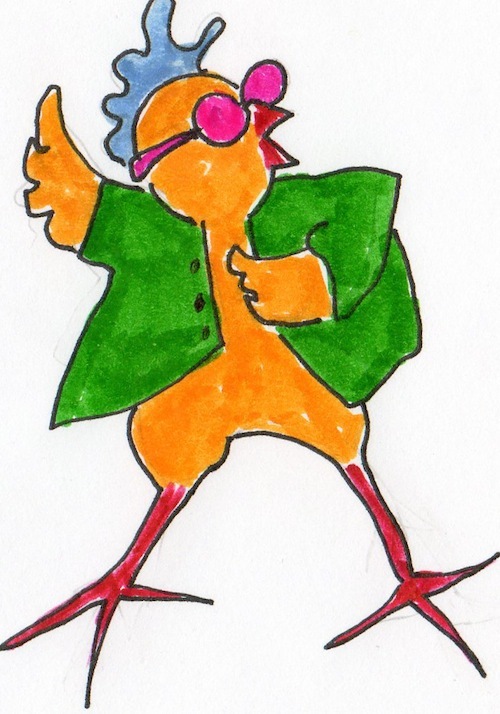 Click below to hear Hugh recite RAVEN. Also the poem LIZARD from the previous event. Ted Morrissey reads, inspired by Felicia Olin's "Tiny, Little"
Some Poems from Hugh's New Book, "Beaming on Dreamsville"